Frequent business trips and fear of a burglar at home, is everything okay at home? Do you know whether the baby and pets has been taken good care of by your nanny? Did someone stranger ever intrude into your house? 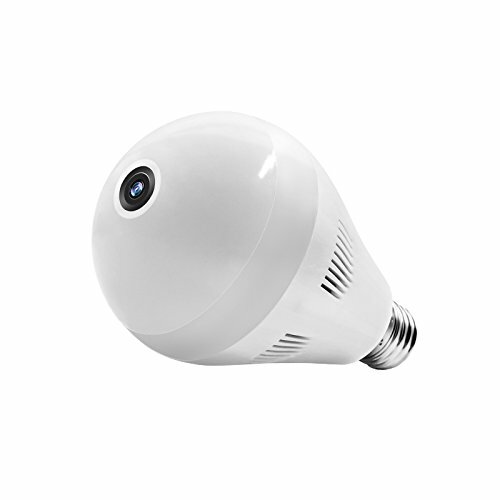 Just buy our New updated LED Bulb Panoramic Camera. You can know everything happens in your house no matter where you are. 1. If camera bulb can not connect Wi-Fi, please press the reset button until the camera have voice prompt, the system will be reset,after reset it then set up the Wi-Fi connection. 2. There is a TF(Micro SD) card slot, TF card is not included, and the camera can not support 5G network. If you have any questions about this product by CuiCan, contact us by completing and submitting the form below. If you are looking for a specif part number, please include it with your message.